Speaking at the Tesla shareholders meeting on Wednesday, Elon Musk showed Tesla’s progress and business roadmap for the next few years, talking about the Model S, Model X, and the high volume production vehicles to follow. At Wednesday’s annual shareholder for Tesla Motors, CEO Elon Musk gave a business roadmap for the company, saying the company was almost certainly going to become cash flow positive in 2013, that the third generation Tesla (following the Model X) will be the company’s mass production electric car, and more. 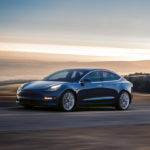 The meeting came close on the heels of reports that the first Model S Founder Series cars had been delivered to Steve Jurvetson and Elon Musk over the weekend. Musk claimed the early deliveries had been made not because the two were privileged insiders, but so that they, as company leadership, could go over the Model S very carefully, ensuring that everything about the car is perfect. 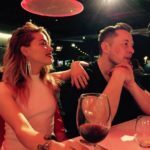 Which let Musk segue into discussing how well the company had delivered on promises made for the Model S.
Also see Tesla hints solar powered electric car charging, through proprietary charging connector for more of what transpired in the meeting. Safety: Certified with a 5-star crash-worthiness so high that Musk bragged if there was a sixth star, they’d have gotten it. One point in favor of crash-worthiness is the front trunk, which would normally hold an engine, is really a massive crumple zone. Reliability: They’ve put the car through millions of miles of accelerated life testing, shake and bake systems, the whole works. 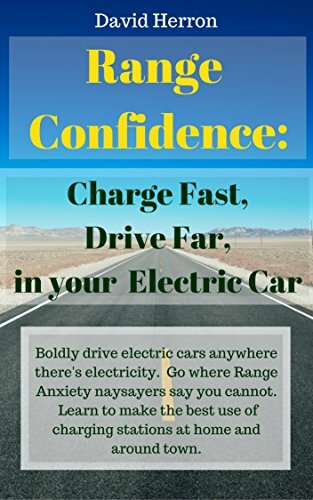 Later in the Q&A session Musk said “The best service is to minimize serving needs,” meaning the company’s goal was to make a car so reliable it needed very little servicing. Beautiful: That just speaks for itself, the Model S is a beauty of a car. 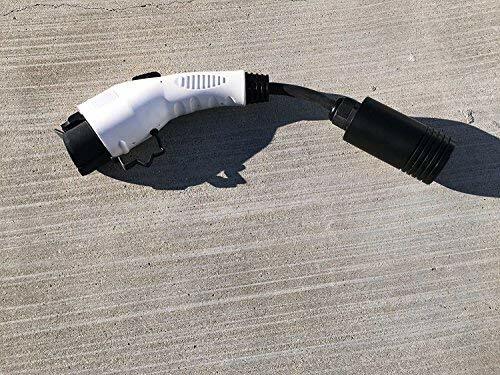 Tesla Motors is not just an automobile manufacturer, the company has deals to supply electric vehicle drive train components to other automakers. One is the deal with Toyota to supply the drive train for the RAV4 EV, due to begin shipping in late summer 2012 . 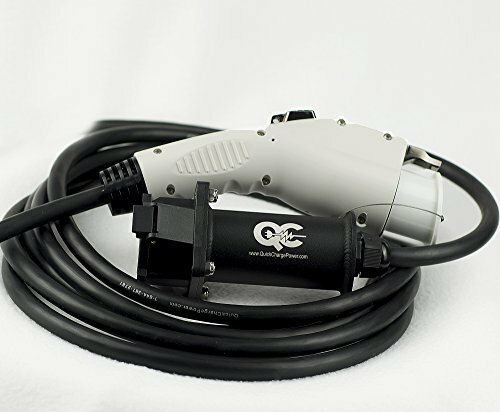 The other is a “full powertrain deal” with Mercedes, including the battery pack, motor, transmission, inverter and other control systems, for a Mercedes vehicle, which will be sold at a “reasonably high volume level.” In the past Tesla has done small drive train production runs for vehicles such as the Smart ForTwo ED, and Musk described the new deal as “a real production program as opposed to prior programs which have been more demonstration, or proof of concept, projects.” It is expanding to more of a “mainstream arrangement” with Mercedes. Both of Toyota and Daimler (parent of Mercedes) own a chunk of Tesla’s business, and the deals should boost Tesla’s finances. Speaking of which, during the Q&A session later in the meeting Musk suggested the company would be cash flow positive solely off of Model S sales next year. A shareholder, concerned about all the short sales of Tesla stock, asked for an assurance that 20,000 Model S’s would be sold next year, suggesting that perhaps the short sellers knew something about Tesla. 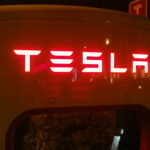 Musk answered that he felt highly confident of not only meeting, but exceeding, the 20,000 Model S sales target for 2013. Pressing for more, the shareholder asked “well, what if that does not happen, what if you only sell 10,000”? First, Musk said that the break-even point (cash flow positive) for Tesla Motors will be reached with only 8,000 Model S sales. Second, because Tesla already has over 10,000 orders in for the Model S, he feels safe in predicting sales well above the level required for the company to become cash flow positive, even if it does not reach the 20,000 sales target. To back up the sales projections Musk showed a chart of which models will be available over the coming years, and projected sales levels each year, along with market penetration. 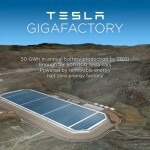 In 2012 and 2013 the company will be selling only the Model S, and expects to sell 5,000 units in 2012, and 20,000 units in 2013. For both years the market penetration will be under 1% of the luxury car market. In 2014 the Model X will begin to be produced, and sales are expected to be over 35,000 units, which will represent 2% market penetration in the luxury market. The Model S and Model X are both built on the same platform, which Musk calls the “second generation” of Tesla’s automobiles. Following these two vehicles Tesla will move to a high volume lower priced vehicle, which will be Tesla’s “Third Generation Platform,” meaning the higher volume vehicle will be built on a newly designed base platform. Tesla’s factory, the former NUMMI plant in Fremont bought by Tesla from Toyota in 2010, has a capacity of nearly 500,000 vehicles per year. Model S and Model X production levels of even 35,000 vehicles a year would leave a lot of unused space in that factory building. 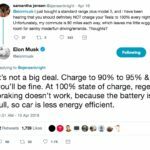 But, Musk noted that because Tesla already owns a large factory site, it gives the company “very good capital efficiency to achieve high production levels,” meaning the company won’t have to spend a lot in the future to buy a new factory, because they were able to buy one from Toyota at a rock bottom price. As the company grows, they’ll simply expand into unused space in the factory the company already owns. These promises sound big, so big one wonders whether they can be kept. The company’s history does include a rocky start and troubles getting the Tesla Roadsters to customers, which may be behind the skepticism over whether Tesla can meet these promises. The company did delivered on a big promise to get the Model S into production in 2012. 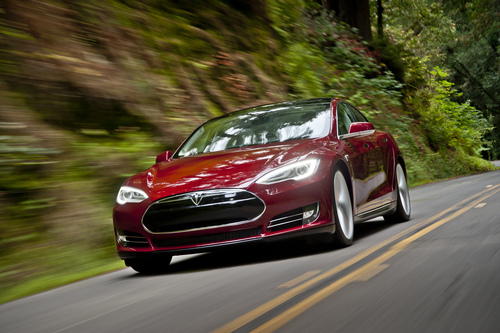 A lot is riding on how well the Model S performs in the hands of regular customers.